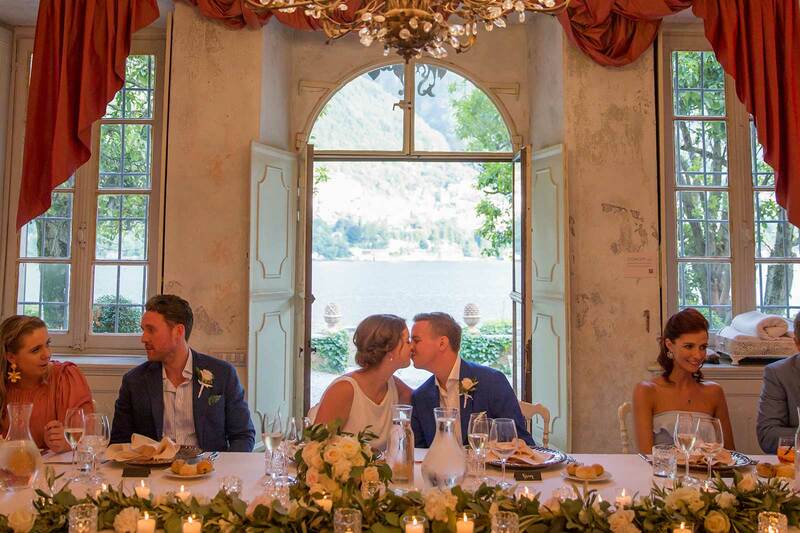 Scenic cruises, sigh-inducing scenery and traditional Italian fare made this Lake Como wedding one to love.. 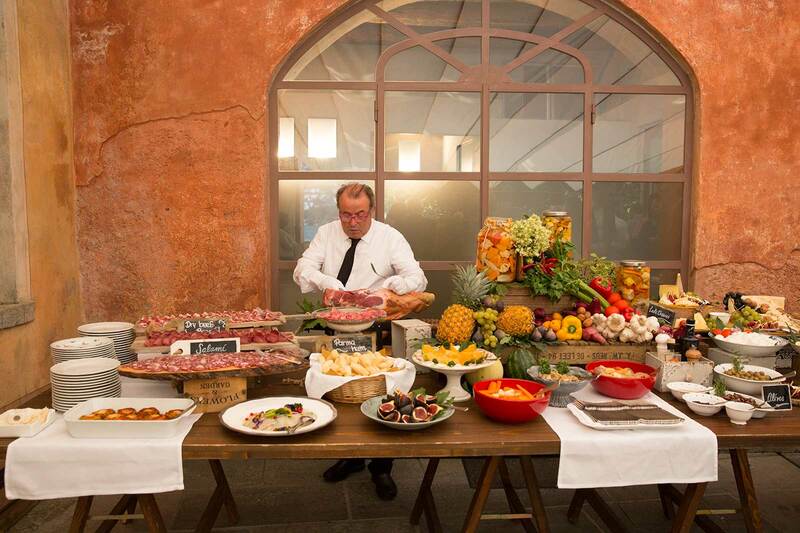 When the special day arrived, guests were treated to a surprise that really set the mood. 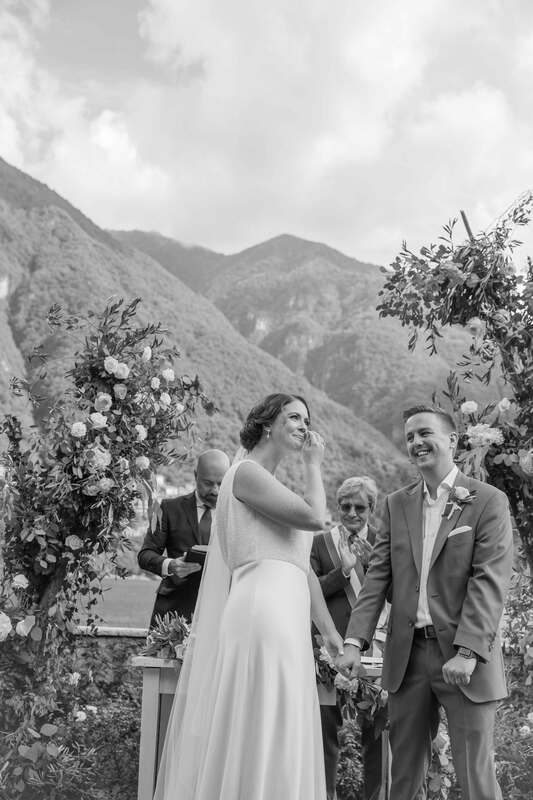 “We gathered everyone at the nearby village of Lenno and told them a coach would take them to the wedding venue,” says Lauren. 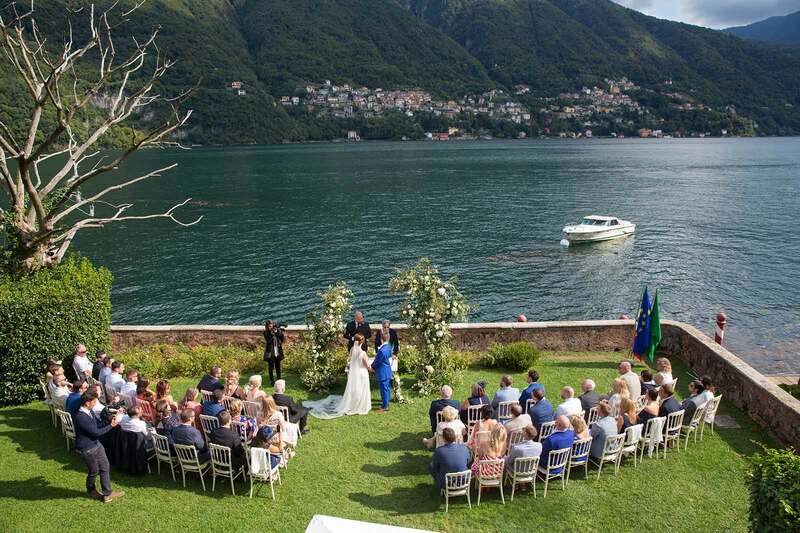 “When Jon arrived by boat and told them it was their transport for the day, nobody believed him! 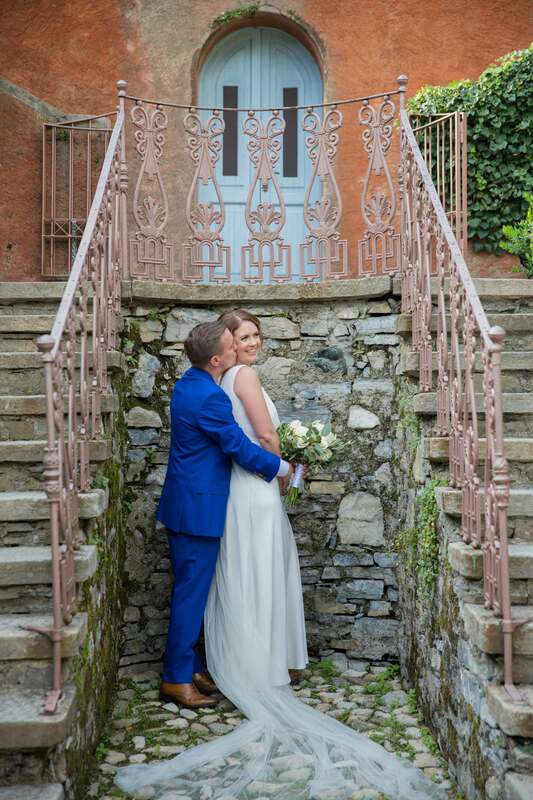 We organised for our loved ones to enjoy a scenic 30-minute cruise before arriving at Villa Regina Teodolinda for our wedding.” Goals, right? 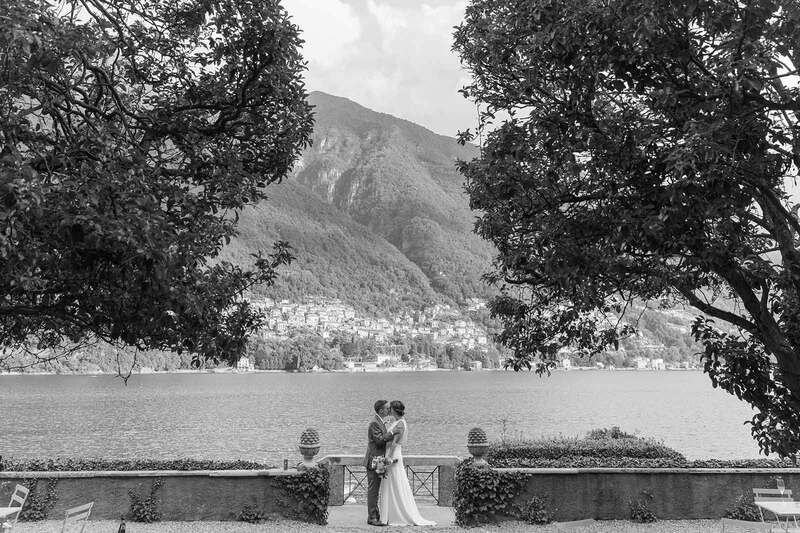 In the villa’s sun-drenched garden, Lauren and Jon exchanged vows with spellbinding mountain and lake views as their backdrop. 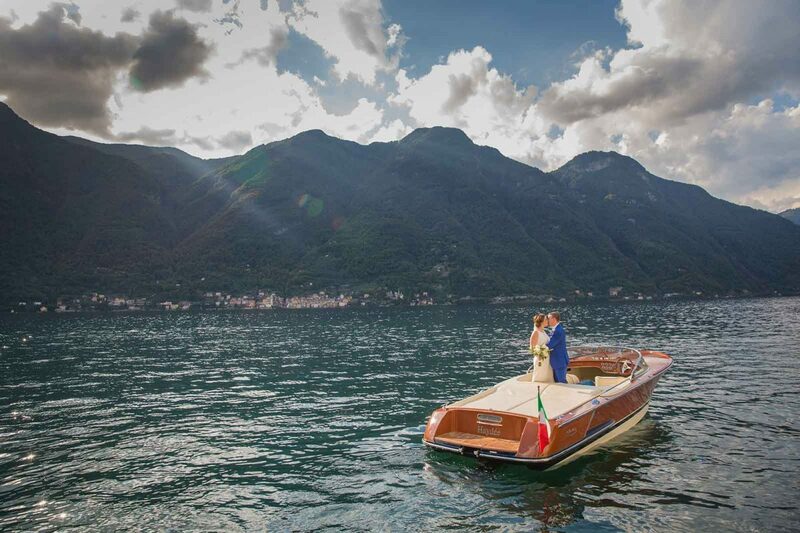 Capping off a dreamy day, the pair then explored Lake Como by boat for a gorgeous photo session with Cloud Nine Photography before returning for a European-inspired reception. 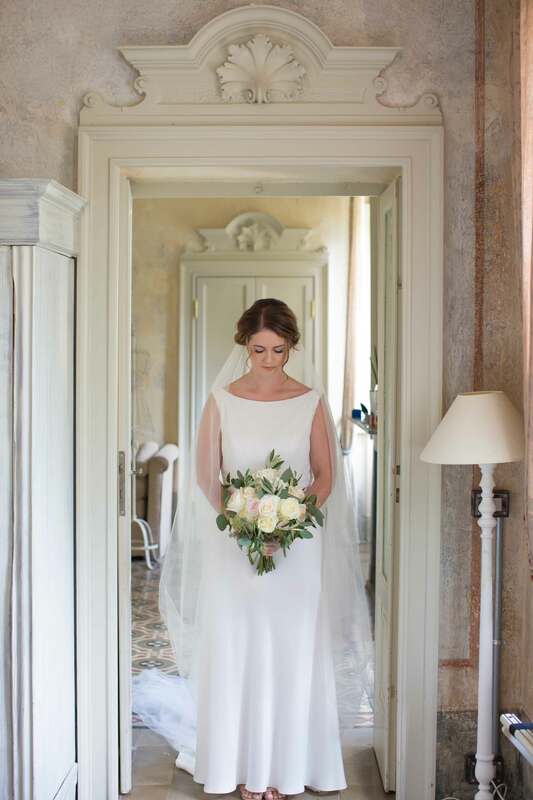 “We dined inside the villa with views of the lake, the sun setting over the mountains, and trees full of fairy lights,” says Lauren.